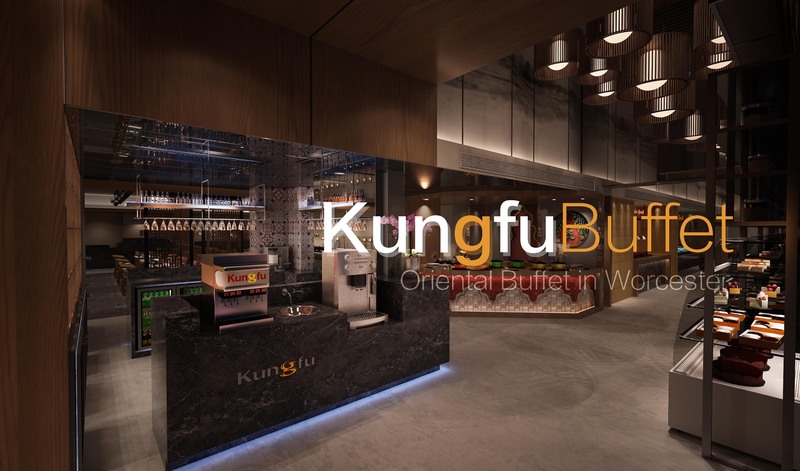 Kungfu oriental buffet, a nationwide chain restaurant brand, has opened its new flagship restaurant at the start of November in Cathedral Square, Worcester. The good thing about Kungfu is that you are relieved of the difficulty in deciding what to order from a long list menu. At the all-you-can-eat Kungfu buffet, choices have never been so easy. With cuisines from Beijing, Tokyo, Seoul, Kuala Lumpur to Bangkok and Istanbul, you have the opportunity to taste different flavours that you may have never tried before. On weekdays, price is at £8.95 for lunch and £15.95 for dinner, and on weekends, the price is fixed at £15.95. And there are special discounts for children. The spacious room and vast arrays of food stations and bars are enough to remind you of the mass offering. Seating more than 200 people, it serves around 150 dishes from 9 buffet stations, 2 live-cooking stations, 5 dessert sections, seafood, teppanyaki, noodle and salad bars. The restaurant is designed to make you feel homey and cosy in every detail. The warm environment, the exquisite texture, and the museum-cafeteria feel make it an excellent place for both individual dining and parties. 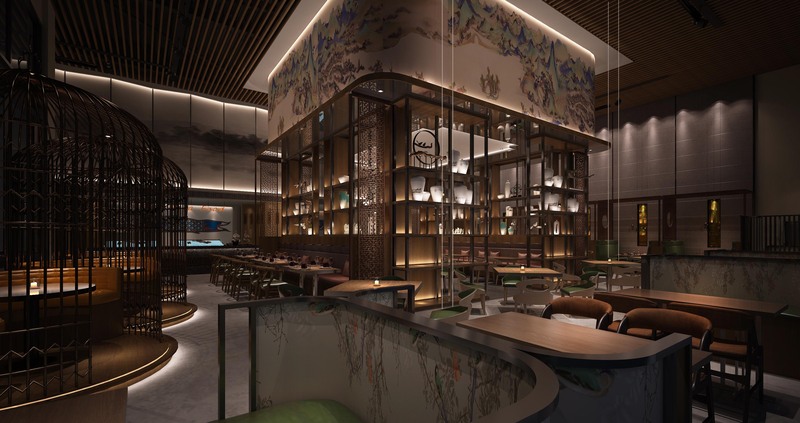 The spacious outside seating, with an oriental-themed pavilion, offers both parents and kids endless imagination and fun. We have around 150 dishes from 9 buffet stations, 2 live-cooking stations, 5 dessert sections, seafood, teppanyaki, noodle and salad bars. Dishes are from Beijing, Tokyo, Seoul, Kuala Lumpur to Bangkok and Istanbul. Our spacious restaurant can host more than 200 guests. It is a perfect place for birthday parties, friends & family gathering and business events. Contact us!